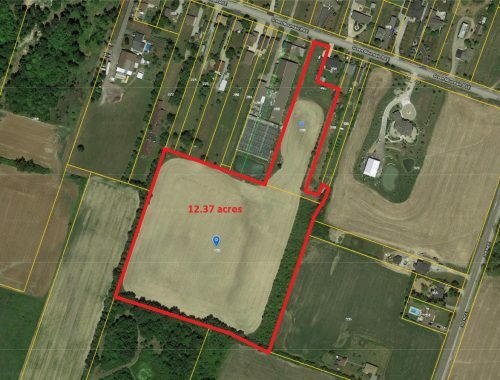 Vacant land for sale on Stoney Creek Mountain. 12.37 acre parcel ideal for hobby farm or residential building lot. Incredible location. Country living but only a 3 minute drive to Highway 20. Site is set back from the road with significant tree lines offering excellent privacy. Buyer to do own due diligence with respect to feasibility, services, development charges etc. Buyer responsible for future development charges/lot levies and potential HST cost.